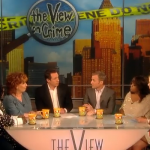 Dan appeared on The View yesterday alongside Chris Cuomo to answer some popular questions about George Zimmerman’s trial, and new developments regarding the presiding Judge. Zimmerman’s counsel has asked for a a new judged. Apparently, Zimmerman’s current lawyer was found to have been recommended by this very judge’s husband. There will be a legal analysis on this attorney, who Dan suggests might just back out and let his wife preside. “She’s making the call first. She’ll have to decide to recuse herself,” which seems likely. The group tackled questions about why all the records are being sealed – especially in Florida, a normally very open state – and what reaction that garners from the public. Dan was also asked why Zimmerman was unpopular in prison, to which he said “He’s one of the highest profile most notorious people in prison right now.” He won’t get out on bail – one might have, before this particular case – but killing with a handgun in Florida in this instance changes things. He has indeed proven to a large extent that he is not a flight risk, but that doesn’t merit his bail enough. And the fact that it might be dangerous on “the outside” for George Zimmerman? 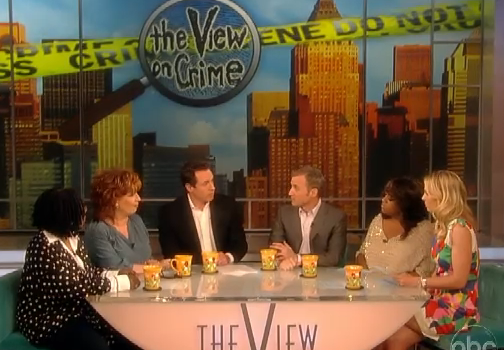 “Not a reason not to give him bail.” Watch Dan Abrams in the full discussion here.